Garage doors do a lot for our homes. They provide security and protection from intruders and animals. They keep our vehicles and possessions protected from the wind and elements. 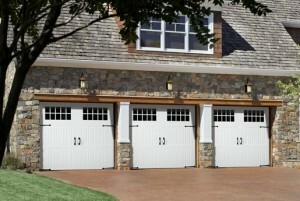 Garage doors can also provide a beautiful touch to the appearance of any building. Garage doors can come in a variety of styles and materials. Steel – Steel plate garage doors are the most common type of doors in suburban areas. They are readily available and have a decent durability. You should always remember to consider the weight of any material when purchasing a garage door. 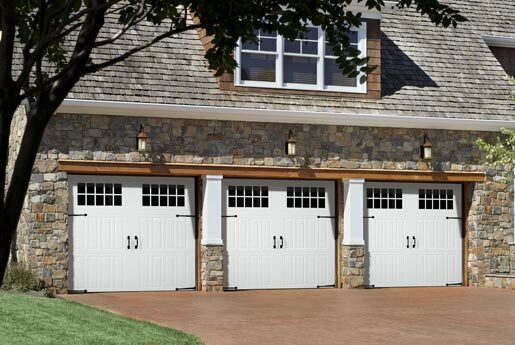 Aluminum – These are the lightest type of garage doors. They are not very common since large amounts of aluminum in sheet form are not practical. Due to their lightweight design, they do not provide as much protection, but they take almost no maintenance. Wood – While by far one of the most customizable and beautiful, wooden doors require the most maintenance. The wood will need to be protected from the elements far more than metal doors would need. 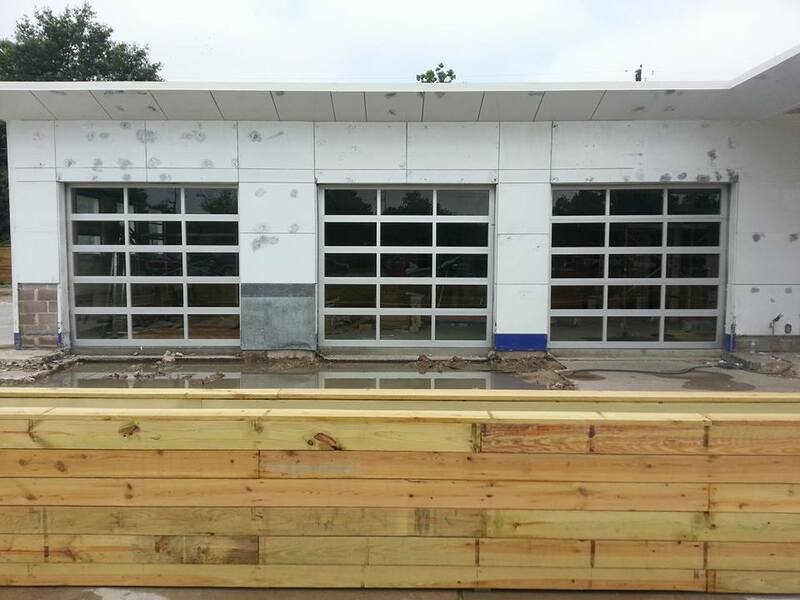 Garage doors are installed onto railing systems that provide a track for them to travel on when they open. Metal doors often have various hinges that allow them to travel simple paths. Solid wood doors or even solid metal doors require slightly more complicated rail systems. In addition to the railing, the doors are attached to powerful springs. These garage door springs alleviate the weight of the garage door when opening so the garage door opener isn’t strained with the weight of the entire door. Garage door openers take on a lot of strain when the springs break, and it is advised not to use garage door openers until the springs are fixed. Photoelectric safety devices – This shuts off the garage door opener if something passes underneath it. Hand held transmitters – This way you can easily open and close your garage door from the inside or out. Automatic lights – The opener will light the garage for you while you park or leave. Multi-button remotes – Some garage door openers have additional outlets that you could attach remote devices to. Always check and make sure the garage door opener that you are purchasing is adequate for your needs. You want to get something that will last a long time and provide the benefits that you are looking for. Don’t hesitate to ask a professional before you make up your mind. Hope you enjoyed this small tidbit of garage door information. If you ever run into any garage door troubles and you need emergency repairs, think of your friends here at 911 Garage Door Service. We’re available and on-call 24/7 for any mishaps that occur. Call any time!